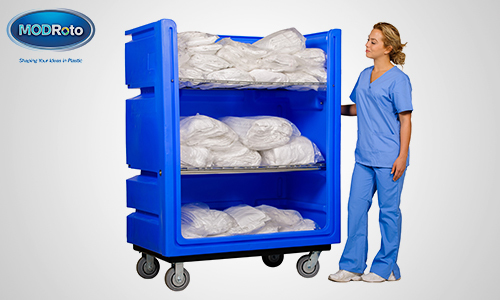 The MODRoto 90P roundtrip laundry cart features a novel design that enables commercial laundries and textile services companies to use the same cart for delivering finished, folded goods and for picking up and returning soiled laundry. The classic 90P comes with a choice of wire metal or ventilated, plastic horizontal shelves that one person can easily slide into a vertical position for use as a rolling, bulk laundry bin. 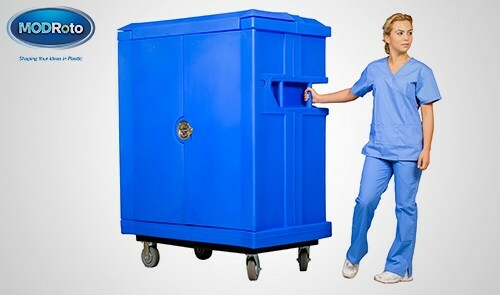 The rugged bulk laundry cart is rotationally molded in a single unit of 100% polyethylene for strength, impact resistance and immunity to water, disinfectants and inclement weather. 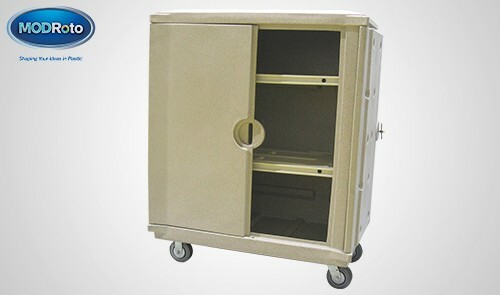 The durable body is set on our full-perimeter, powder-coated, steel base as standard and rolls smoothly on industrial grade, non-marking casters. Our poly-steel base that encases metal bars within smooth, waterproof plastic is offered as an option. With its rounded corners, our base helps protect walls and workers. 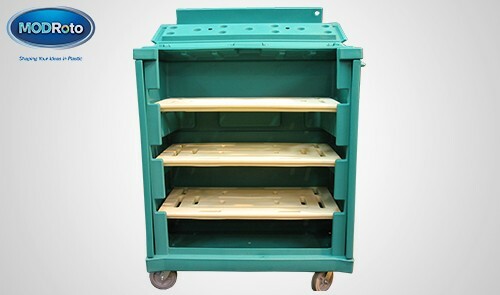 Non-removable, hinged wire shelves are available as an option instead of the repositionable shelves that convert the cart for roundtrip usage.